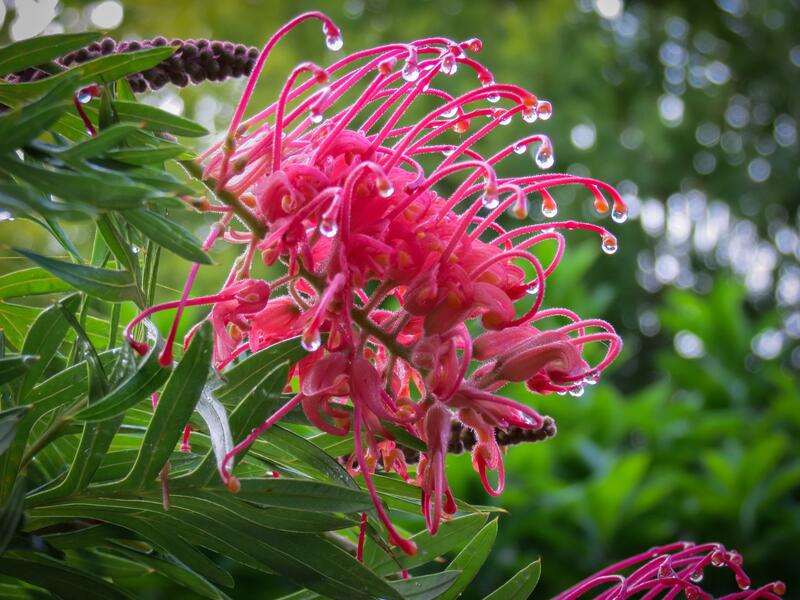 Like tiny diamonds the raindrops sparkle and twinkle on the stamens of the Grevillea. The closer you look the more they sparkle. 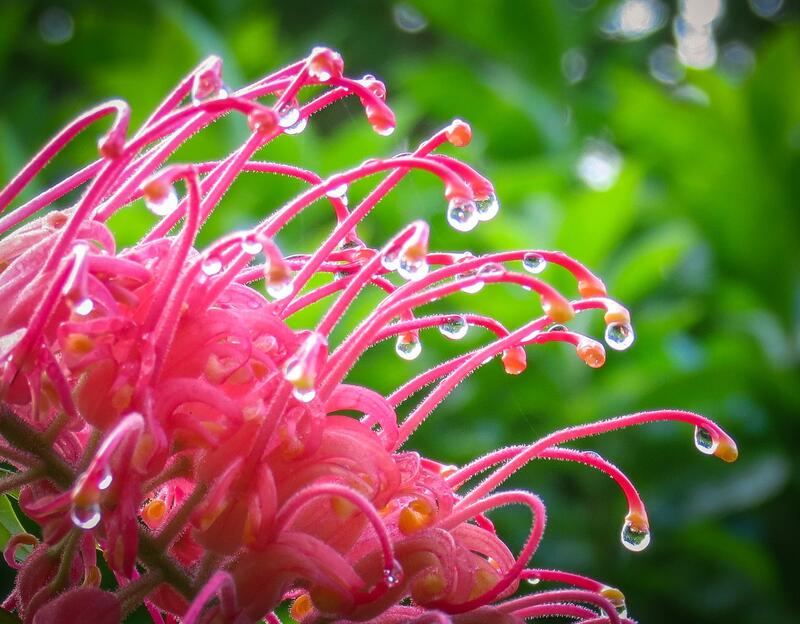 I love seeing the raindrop prisms reflecting like rainbows.